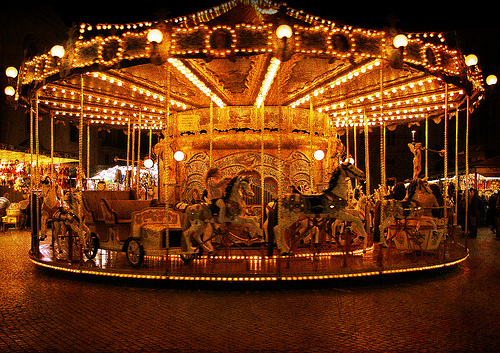 Get on the merry-go-round of life! You stand there watching the merry-go round from afar. You notice a funny thing. 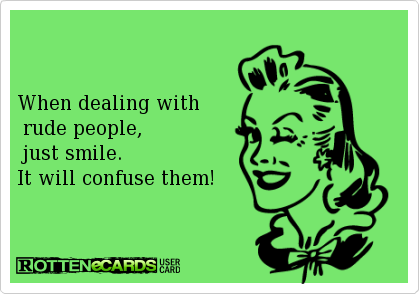 Each time the carousel goes around the faces seem to be smiling a little bit more. You notice something else; those on the merry go round seem to stand taller, carrying themselves with a little more confidence on each revolution. They wave at you beckoning you to jump on. As you look around, you notice all the others who were on the carousel before you are gone. You find out they have all moved on to create new merry-go rounds, spreading the word. As you ride the carousel you see many forlorn faces in the crowd, and you wave them on with all your might. Get on the ride! I laid down on the cold table in my hospital gown that never quite covered the rear end (who designed those silly things anyway?). I felt a wave of panic when the MRI technician said “you need to stay still for twenty minutes”. Ha! How could I move? They strapped my legs and midsection onto the table and told me to draw my arms in tight to my body. As the sliding table moved me into the tight-fitting tube, I knew how the Viet Cong felt when they entered the tunnels of South Vietnam back in the Sixties. My arms felt the cool sides of the tube as it seemed to close in around me, and I knew this was going to be a long twenty minutes. But wait a second, I thought…. I have been here before. That first trip to Rio I rolled with black and brown belts. They were very good at holding me in the mounted position. I struggled in the muggy tropical heat not only to escape, but also to breathe. I looked up at the timer and thought to myself, “how am I going to last five more minutes pinned under this 210-pounder with my mouth covered by his sweat-soaked gi? Why did I take up this silly sport? People come to Rio for the sun, surf, pretty women, and relaxation, not this! I slowly learned not to panic, and that sooner or later I would either get out (in many cases, I think they felt sorry for me, and let me escape) or tap to their submission. Either way, I learned, I would survive. Life goes on. I learned to breathe slowly, especially the exhales, and turn more onto my side to create space. I built a frame over my chest with my arms to make even more space. The process soon became a mental game as I moved from one escape attempt to another, depending on my opponent’s reaction. Focusing my energy and thoughts on the process of escape reduced the feelings of panic whenever I was trapped under someone. They gave me headphones so I could listen to music during the procedure and a panic button to push, but as the loud thumping of the machine started, I realised the headphones did not work and I was alone in my thoughts…my thoughts! 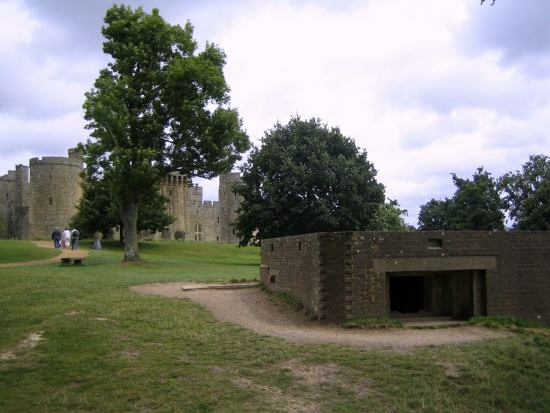 How did prisoners of war handle the feelings of aloneness, panic, and claustrophobia? How did they calm their minds in times of stress? They played mental chess against imaginary opponents, they performed mathematical equations, they wrote music, they recited poetry, all in their minds. It kept them sane. I started to breathe deeply, just as I was taught in yoga and BJJ. Long exhales, shorter inhales, I took myself into my breath. I began to play human chess. I was caught in a vice-like closed guard and I had to fight my way out of it. I replayed four ways of passing the guard, that Leonardo Xavier showed me. I broke them down into the finest details I knew. I pretended to demonstrate the process to my students, narrating as I went along. Once I passed the guard, I imagined myself in side control, but quickly was swept and ended up in mounted position. I then had to escape. In my mind I went through the step-by-step process of the elbow-knee escape, upa, combination of the two, foot drag, bench press, and two other really cool escapes, one that Eliot Kelly showed me which ended in half guard to sweep, and another that Rodrigo Antunes demonstrated, ending up with me taking a footlock! I managed to free myself from bottom side control in four different ways, including a stiff-arm escape from Henry Cho. As I escaped from bottom half guard using a nifty move from Owen Kee Gee, a state of calm took over. Suddenly the headphones, which surprise, surprise, now worked, blared out “Okay Matt, you’re finished”. Three years after that first trip to Brazil, I still get a mild sense of panic when pinned, but I know how to deal with it, both mentally and physically. Thank you yoga and BJJ, and thanks to all the great instructors who showed me a most valuable skill–how to relax in an uncomfortable position. You never know when you might need it! Be Different And Be Glad! Kids, since the dawn of time, or at least the advent of fashion, or maybe toys, have felt a need to conform or fit in. They want to dress alike, own the same toys, just be like the rest. This continues on through high school as they struggle to be “popular” or “able to hang with the in crowd”. As adults, they find work in a big corporation or government where they are encouraged strongly to “go with the flow” and “not make waves”. I say nonsense to this, be different and be glad! Take a look at the most successful entrepreneurs around, and chances are they are a bit eccentric, which is a euphemism for “a little weird”. They usually do not care what society thinks of them. One of the defining traits of entrepreneurship is the ability to spot an opportunity and imagine something where others haven’t. They think outside the box and create a niche. This niche, an area of specialty or unique skill, is not perceived as an easily replaceable product or service. They are therefore better able to protect that niche from competitors, since they have developed the unique skill that sets them apart. The successful truly march to the beat of a different drummer. They do not seek outside validation. They seek it from within. They imagine a far different world than most and have the ability to make that world happen. They succeed by not being afraid to be different. 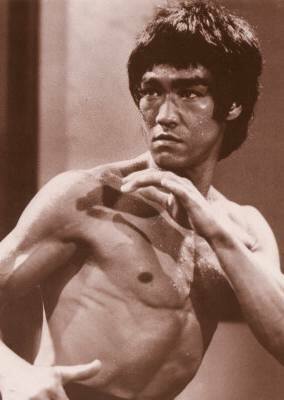 Bruce Lee was extremely successful as a martial artist because he challenged the current dogma of the day. He embraced the martial arts of every style and included boxing, wrestling, and fencing and who knows what else in his arsenal of techniques. He “absorbed what was useful, and discarded the rest”. Of course, for him the truth in combat rested in what worked for him and his body style and physical attributes, and he disdained the idea of a “combat system” because of this. His approach of “using no way as way”, and his training methods, which seemed radical at the time, fundamentally changed the martial arts world as a result. Left handers are very different, representing only about eleven percent of the population. They are discriminated against at every turn, growing up surrounded by right-handed tools, instruments, and appliances. They are continually trying to adapt to a right-handers world. I know this because I am a left-handed person. But guess what? They tend to be over-represented in the elite level of martial arts, for the reasons I stated in an earlier article. First, since they have to adapt, they become ambidextrous at a greater rate than right-handers, becoming more powerful and coordinated on their weak side. Second, right-handers have to fight someone with a style they are not used to fighting. Some of the greatest artists in history have been lefties, including Leonardo da Vinci, Michelangelo, Raphael, and Rembrandt. Left-handers are no more successful than right-handers overall, but they are more successful in different ways. For instance, they tend to be more creative, while right-handers are more logical and analytical. William Churchill was considered eccentric in his time. Even the Germans knew about it, as stated in Goebells 1941 diary: “A book on Winston Churchill reports that he drinks too much and wears silk underwear. He dictates messages in the bath or in his underpants, a startling image the Fuehrer (Hitler) finds hugely amusing”. His eccentricity did not stop him from becoming a master orator and one of the great leaders of the world. And you can bet it did not bother him to be different. So I say, be different and be glad you are unique. Embrace it and let it work to your advantage. “The amount of eccentricity in a society has generally been proportional to the amount of genius, mental vigor, and moral courage it contained. That so few now dare to be eccentric marks the chief danger of the time”. The Tiger along with the Dragon are the central characters in our new logo. The Kenpo Freestyle Academy’s logo has been re-designed. We enlisted the services of a very talented young designer named Paolo Geronimo from the Philippines. In my not-so-humble, but very opinionated view, it is the world’s coolest Kenpo logo. After months of refinements, we release our Kenpo logo with pride. In 2010 I wrote a blog post entitled “The Kenpo Freestyle Sydney Logo: What Does it Mean?” Since then I have reflected a lot on what our logo truly means. Many of the ideas of the first post are sound, but I would like to touch more deeply into the meaning of our new logo. Since there is so much to explore on this topic, I will break it down by the symbols in the Kenpo logo, starting with the tiger. The other symbols will be covered in subsequent blog posts. Our Kenpo logo retains many of the features of the original American Kenpo version. The late great Ed Parker, who founded American Kenpo, said this about the tiger in his book, the Infinite Insights Into Kenpo, Volume 1: THE TIGER — represents earthly strength derived during the early stages of learning. This is the stage where the individual is more impressed with his own physical prowess. With due respect to the great man, I agree with this to some extent, but believe that the tiger means more. A lot more. This magnificent creature, arguably the world’s most powerful animal predator on land, but unfortunately now endangered, represents so many positive things in our system, the Kenpo Freestyle Academy. It is also my favourite animal, so allow for a little bias to creep in here. The tiger, along with the dragon, are the two central characters depicted on our logo. The tiger represents strength, power, stealth, defence, adaptability, individuality, patience, determination, focus, and generosity. Tigers are extremely powerful. They are able to leap distances over 6 metres, can run over 60 km an hour, and can smash a bear’s skull with their front claws. Tigers can break the neck of their prey by simply crushing vertebrae with its jaws, and can take down and drag prey up to five times its size. Even a tiger’s “voice” is powerful. The roar of a Bengal tiger can be heard for over 2km at night. Overall, the tiger represents straight-ahead, linear power, with no retreat. Tigers are masters of stealth. They can move through high grass, forest, and even water in silence. A common comment of those who have witnessed—or survived—an attack is that the tiger “came out of nowhere.” A tiger cannot catch a deer or other fleet-footed animal. Instead it uses stealth to catch its victims; attacking from the side or the rear, after creeping up very closely to its prey. Tigers represent defence. In Asian cultures the tiger is a symbol of protection. Tiger paintings are often hung on walls inside buildings to guard entrances, “scaring demons away”. The heads of tigers were often painted on a soldier’s shield, in order to terrify the enemy. In general, tigers will try to avoid fighting, unless absolutely necessary. Fighting usually happens only within the mating season. Males will often fight over one female, and the strongest male will have the privilege of mating with her. Still, tigers prefer to part ways and pursue a more peaceful existence elsewhere than to fight. Territory disputes are often settled by displays of intimidation rather than physical aggression. The tiger is wise because it knows an injury incurred in a fight most likely means starvation. The tiger, like the dragon, is shown within a circle to show that the power of the tiger, like the power of Kenpo, is contained. The power is only unleashed, or broken from the circle, in order to defend ourselves or our families from violent attack. More about the circle in a later post. Tigers are supremely adaptable. Unlike almost all other cats, tigers can swim long distances and can even attack and drag prey in the water. They are also adaptable in their hunting techniques. They can bite, claw, or strangle their prey. They are native to various habitats, from the forests to open grasslands, even tropical swamps. The tiger’s sense of hearing is so sharp that they are capable of hearing infrasound, which are sound waves below the range of normally audible sound (20 hertz). They have a special adaptation to their retinas, which allows more light to reflect back into their eyes, making it easier to see in the dark. The tiger’s striped coat helps them blend in well with their surroundings as the striping helps break up their body shape, making them difficult to detect for unsuspecting prey. Tigers stand on their own. They are solitary creatures. Except for a mother and her cubs, tigers live and hunt alone. They can have a social life; they just prefer to socialise from a distance. The stripes on every tiger are unique, just like the fingerprints of humans. On average, tigers have about a hundred stripes on their coats, helping them to camouflage themselves in the wild. Tigers are persistent, patient, and disciplined. Catching a meal is not easy; a tiger is successful only once in ten to 20 hunts. But it must kill about once per week to avoid starvation. To give up is to die. The tiger is a study in discipline and patience. Due to its size it must approach prey using stealth, and cannot pounce too early as most prey will outrun it. The tiger may lie in wait for hours for an opportunity. If the prey is alerted, they must quietly wait until the jungle is calm again, which may take hours. Tigers are focused. The tiger in the traditional Chinese folklore implies “the tiger never sleeps.” It symbolises the keen alertness of the wakeful tiger. The tiger must be alert to the slightest movement in the jungle, its focus must be keen in order to survive. Tigers are known to share and be generous. In contrast to male lions, male tigers will allow the females and cubs to feed on the kill first. Furthermore, tigers seem to behave relatively friendly when sharing kills, in contrast to lions, which tend to squabble and fight. Unrelated tigers have also been observed feeding on prey together. The spirit of the tiger is alive in our system. All Kenpo Freestyle students are taught from the earliest stages to move with power and stealth (put hips into play for power, no slamming of feet, move with grace and silence, attack from angles) and to have a powerful kiai. We are able to adapt to the circumstances (all ranges of combat, including kicking, punching, and grappling) and are open to modern innovations (freestyle). Our students are taught to be generous by later becoming leaders in our organisation, and how to stand on their own two feet and become independent, resisting peer pressure. They are taught focus and concentration by the many games and activities we do that rely on it. Self discipline is another important aspect of the Kenpo Freestyle system, and is the basis for lifelong success. In Kenpo, many of the movements of the tiger are used such as thrusts, stikes and rips, which can be employed from any angle. Our students are taught a strong defence (like the tiger) using head movement, footwork, blocking, and parrying. Our grapplers are taught defence first, attack later. Most importantly, our students are taught to avoid violence at all costs, just like the tiger. We can learn much from this beautiful creature. The role of the dragon and how it relates to the tiger will be discussed next. What does the tiger mean to you in your martial arts journey? How do you like the new Kenpo logo? On the wrestling mats in high school I threw guys around like rag dolls. For about 30 seconds. It was then that I usually gassed out and it was a great relief when I inevitably got pinned. Of course, the coach was not happy, as our team was a perennial powerhouse, and I was one of the few losses. You see, I was always one of the strongest guys on the mat, but lacked stamina. Or so I thought. Was it the oppressive tropical summer heat in Rio, or was I just out of shape? 4th Degree Brazilian Jiu Jitsu Black Belt Rodrigo Antunes and I were rolling on the mat in the morning for my private lesson. He of course was just toying with me, tapping me right and left, but I was so tired I was just sucking eggs. All of a sudden he stopped, looked at me, and said “Matt, you are holding your breath. 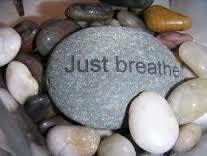 You need to breathe”. I started thinking about it. Maybe that was my problem. 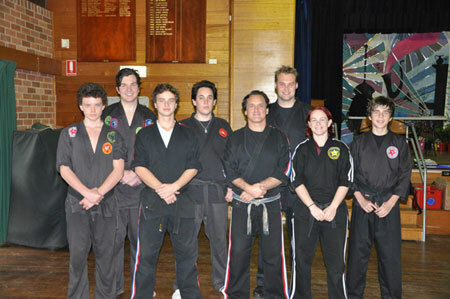 Jean Jacques Machado was having a friendly roll with many of the students who attended his seminar in Sydney. He was merely playing with all comers, and sliced through them like butter, tapping all without much apparent effort. I knew he was good, but how could he go against so many guys in a row without even BREATHING HARD? It occurred to me all of a sudden. His breathing was loud, so loud the whole class could hear it. It was also deep, and slow. It was a revelation for me. He would breathe in for a couple of seconds very deeply, and then release it slowly and loudly. He seemed to possess unlimited energy. In yoga they tell us that you must focus on the breath. After two years of this I am starting to understand the wisdom of it. If you focus on the breath, and control your breathing, not only does it slow your heart rate down, but it also takes your mind off any uncomfortable position you might be in. Another benefit—by bringing your focus on your breath, it helps you to relax, which is what you need to avoid gassing out. I started to practice a deep breathing method while working out at home. A big fan of body weight exercises, I would breathe in for two reps and then breathe out for three. I concentrated on focusing on the breath, not on the total number of reps. A very interesting thing started to happen. I usually did about three sets of twenty. But I now found myself counting to 36, 37, 38 without even realising it. I was so focused on the breathing I forgot about the discomfort of the exercise or even that I had to stop when I reached twenty. I am finally learning how to slow my breath down in Brazilian Jiu Jitsu classes. Believe me, I am now having much more fun on the mats. I wish I would have learned this years ago. Thanks Rodrigo, thanks J.J. Machado, and thanks especially to my yoga instructors who finally drove this point home. What are your secrets for breathing correctly in the martial arts? The black belt is an exclusive club for a reason. A little brother of one of our brown belts came in to his brother’s grading. I asked the child why he quit training and he said “I was bored”. Fair enough. But I added, “Not everyone is cut out to be a black belt”. He looked up at me with a bit of irritation on his face and stated, “If I wanted to be a black belt I could, I just don’t want to”. I left it at that, because I did not want to insult him or crush his self-esteem. But I thought to myself, if someone is bored by the journey, the process, and the day-to-day work that it takes to get to the top in the martial arts, they are not cut out to be a black belt. It is not any reflection on them, but a person has to be passionate about it. Nothing less will sustain them over the long journey to black belt. In our system brown belt is the first real challenging belt. A good many of the candidates don’t pass it the first time around. But more importantly, this is the first test of determination and persistence. Many give up after not obtaining it, thinking it is too hard, or maybe they thought they should have passed. Some quit because their friends passed and they did not. But the ones who eventually make it to black belt get more determined and sometimes put forth the most impressive efforts of their classes the next grading. It is an inspiration to see. They have passed the most important test on the way to black belt. Only five percent of the people who walk through the door will ever make it to black belt. Many of the ones who quit have exceptional talent. In fact, some are so good they look like a black belt at purple belt. But they lack one important quality—desire to be a black belt. My football coach used to tell us “You have to want it”, and it is the most truthful statement I have ever heard about desire. Not everyone is cut out to be a black belt. That little boy truly did not want to be a black belt. Hopefully those that quit are able to find other sports or activities where they can excel and where they have enough passion, determination, and desire to get to the top. The black belt is, and should be an exclusive club. Martial Artists: Are You a Shredder? surfing: performing a series of cutbacks requiring seemingly impossible adeptness. 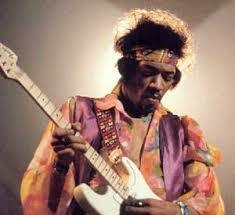 To play so amazingly fast on guitar you almost destroy it’s strings. Sometimes you learn lessons in the strangest places. I learned a few behind the bar. Fresh out of bar tending school in San Diego, I had a big break. The school, impressed with my scores on the exams, and especially my pestering them every day for a job, hooked me up with one of the busiest and best bars in San Diego. I was impressed by Steve, the manager. He was fast, personable, and funny. But the next day, a blonde surfer dude with a bit of a swagger walked into the bar. Steve said to me, “Dave is a shredder”. I asked him what that meant, and he said, “Watch him work. He gets it done. He is in a league of his own”. That night, I trained with Dave, and I soon knew what Steve was talking about. Dave was in well #4. He was handling the orders of three cocktail waitresses, plus the busiest section of the bar, all by himself. I was his bar back, which meant gofer, running to and from the back with the supplies he needed. He was getting orders by the dozens from the waitresses, memorizing them (no writing or anything allowed, it was too slow) and cranking them out within seconds, meanwhile cracking jokes to the people at the bar, spinning and tossing the the bottles behind his back, and collecting one heck of a lot of money for the establishment. We were truly “in the weeds”, which meant snowed under with people five deep at the bar waving $20 notes, before long. While other guys in the bar, including myself, were getting stressed out, Dave kept his cool, and just switched gears. He was in the zone, and within minutes, we were caught up. The rush was over. I was exhausted. That night, I knew one thing. I wanted to be a “shredder”. I later asked Dave for his secrets to success. To this day I have applied many of his secrets, as they work in any field, especially martial arts. Here are his secrets. Dave lived in the present. While most bartenders were university students or in between careers, Dave was a pro. He always wanted to be a bartender, and he wanted to be the best. He had a great sense of humour, and every night he had at least ten or twelve people at the bar, where he held court. His stories, jokes, and personality had that bar full every night. He rarely drank. Sometimes he had more than one attractive woman at the bar competing for his attention. He introduced people, creating many friendships. His customers loved him. Dave loved bartending. They had us do drills in bartending school with water and food colouring in bottles and plastic spouts on the end. I threw mine away after graduating. Dave still had his. He had a game, timing himself to see how fast he could pour different combinations, and of course, tossing the bottles up in the air, catching it behind his back, and other tricks. He showed me how to do many of them. He knew how to breathe fire, his most popular trick. Dave had over two thousand drinks memorised and he was always looking at recipe cards and trying to create his own mixes. He explained to me that the better you knew them, the faster you could work as you did not have to recall how to make them, especially under pressure. Dave always asked to be in well #4. He and Steve were the only ones fast enough to handle the demands of that well. This kept him in constant practice under pressure. He loved the challenge. I asked Dave how he kept so cool under pressure, and his answer surprised me. He said, “I don’t really care what people, including the boss, think about my performance. I am doing my best, and if they don’t like it, I will go down the street and get a better job, because I have faith in my abilities. So what is the worst that can happen?” He was not worried about making mistakes, spilling drinks, or offending customers. He was super relaxed and this is what gave him the ability to work with reckless abandon. On his days off, Dave was learning how to fly small planes. It was his way to chill out after busy nights behind the bar. It was his other passion, and he jumped into it with gusto as well. Dave made a big impact on me during that time in my life. I never approached his skill and speed as a bartender, but before long, I was working well #4. Once or twice I thought I heard Steve say to the new bartenders something about “shredder” as he pointed my way. Dave, last I heard, was flying 747’s for Delta Airlines. If there is an emergency up in the air, you hope you have someone like Dave flying your airplane. This wizard behind the bar taught me much about life and success. Left-handers in Martial Arts | Advantage or Disadvantage? advantage or disadvantage? Let’s explore it from both sides. Right-handers will have a hard time fighting you. Plain and simple, most fighters lack experience against lefties, since they are such a small percentage of the population. You will be coming at them from unusual angles, which they are not used to seeing. You, on the other hand, will be used to fighting right-handers as you spar against them all the time. You will become ambidextrous fast because you are usually doing the moves right-handed. Left handed people learn to do things with their right hand due to them being in a right handed world so they have almost equal strength in both hands. In most martial arts classes the whole group practices in the right-handed stance. There will be instances when they switch it over to the other side. It will take you longer to learn things since in many cases the movements are not as natural. You will develop power and speed in your weak hand though, with repetition. People often don’t know how to hold pads during training for lefties, and in some gyms they will force you to be a right-hander. I would switch gyms if that is the case. Train on both sides. This will develop speed, power and coordination in your weak side. But against other fighters favour your left-handed stance as it will give right-handers fits. Keep in mind, if he is a left-hander fighting in an orthodox stance, his jab and his front leg kicks will usually be better than the right-handers in the class. In fact, Bruce Lee, a natural right-hander, fought in a southpaw stance so he could have his power hand and foot closer to his opponent. This is especially true in point sparring, as your front hand and foot will score the vast majority of your points. Note, some of these guys were born lefties and some are “deliberate southpaws.” They taught themselves to fight as southpaws because they found it to be an advantage to their fighting careers. 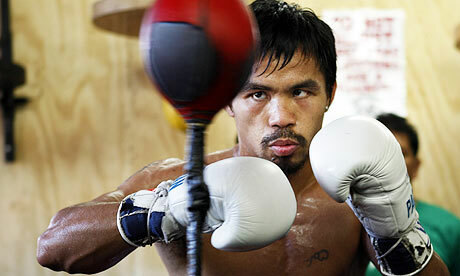 Others may fight in a southpaw stance to have better jabs and hooks, which are thrown off the front hand. Any other lefties out there in the martial arts? What is your experience?